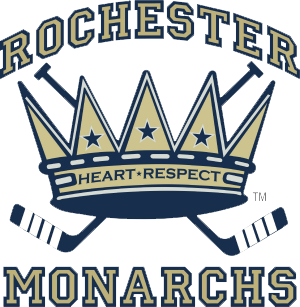 We are excited to announce that Next Level Strength & Conditioning has formed an official partnership with Perinton Youth Hockey and The Rochester Monarchs! This partnership will include a wide range of benefits for all PYH/ Monarchs players, parents and coaches, including the area's most comprehensive off-ice training at a fraction of the standard cost! Our team of certified strength coaches have a wealth of experience working with hockey players of all ages and skill levels! Play for ANY PYH or Monarchs Team? Like to Save $$? Great News! All current PYH and Monarchs will receive AT LEAST 10% off of any program we offer! Register with multiple players and save more! Check out the discounted training options below! Email us with tyour program of choice and code: PYH10 to SAVE! On-Ice/ Off-Ice Combo Programs with Rochester Ice Center Hockey Academy available for all ages/ skill levels! Contact us to learn more! Register with 3 or more players SAVE 15%! Comprehensive and individualized training in small groups led by the area's top certified strength coaches with flexible scheduling! Our Team Training programs can be tailored to meet your group's specific needs based on age, numbers, schedule, goals, budget, in-season vs. off-season, etc. Possible programs can include off-ice training only, on-ice/ off-ice combo, week long day camps, team building training camps and much more! All PYH/ Monarchs teams will receive a significant discount off of any standard team rate! Contact Nate VanKouwenberg to learn more! The partnership between Next Level, PYH and the Monarchs goes far beyond our weekly in-season training sessions. Our goal is develop a comprehensive development model for all players, parents and coaches in the organization by providing a wide range of critical resources and services that will put our athletes on the path to long term success. Contact Us Today to receive the link to your exclusive Resource Folder! Possible Seminar topics include: Pre Game Preparation/ Post Game Recovery, Hockey Nutrition, Injury Prevention and more! We hope that many of you take advantage of these resources and additional services! Our staff is beyond grateful to have such an amazing partnership with PYH and the Monarchs! Feel free to contact us directlty anytime with questions!